Morgan H. West, founder of DC’s premier creative blog, A Creative DC, shared the blog’s origin story and offered inspiration for creative-type’s of all kinds at the Hirshhorn Museum, downtown DC. Video by Kian McKellar. 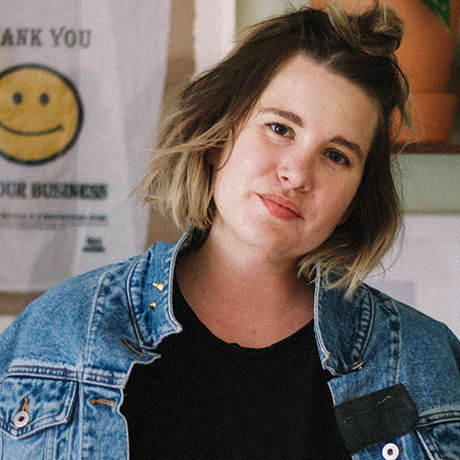 Morgan H. West is a DC artist + creative resource, using hands-on visuals and innate-internet-know-how to create moments and content. Online + IRL, her work makes you feel like you’re in the right place…and more often than not, the right place is the District of Columbia. In 2015 she founded A Creative DC, a campaign that lends visibility to the city’s creative community + creative economy across various social media platforms. With nearly 700,000 uses of the #aCreativeDC hashtag on Instagram, the project promotes emerging, established, and diverse DC perspectives to an audience of ~100k.